Susan Gray, PhD, EdD, MBA, MSW, who retired from the School of Social Work in 2013 as professor emerita, was recently presented with the lifetime achievement award by the National Association of Social Workers (NASW). The award celebrates the best of social work values, contributions to the profession and extraordinary achievements demonstrated in a distinguished career. Gary Bailey, LHD (h.c), professor of practice at Simmons College Graduate School of Social Work, presented the award. 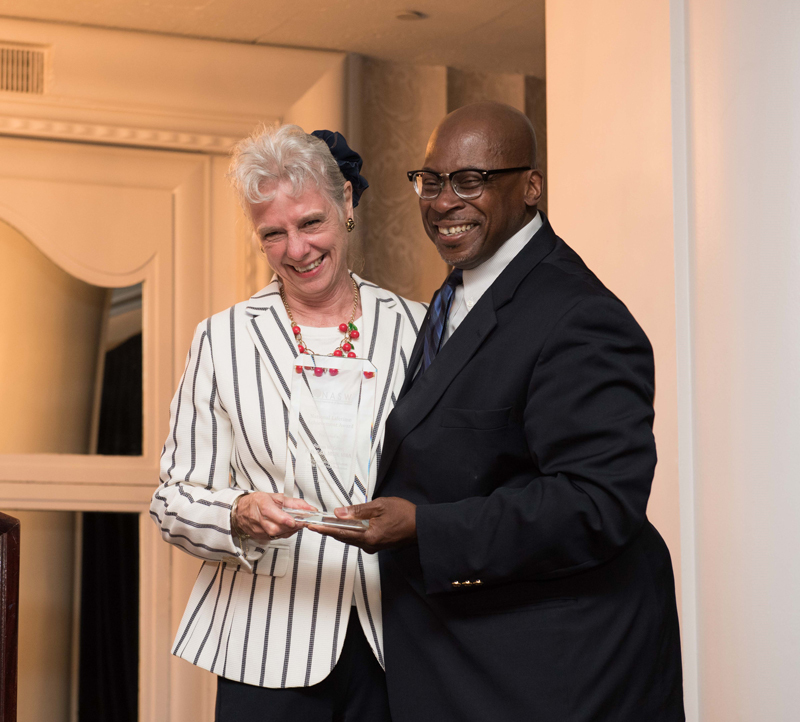 Among her many accomplishments, Gray was honored for her dedication to improving the treatment of vulnerable populations, and distinguished as a practitioner, educator, public servant, author and a mentor who has strengthened the individual capacities of countless social workers. Gray was also commended her efforts to introduce students to the social work profession through courses she taught at Florida Keys Community College. Serving on the Board of the Florida Keys Area Health Education Committee, Gray further reached into the Keys community by advocating for education and health care services to the underserved, was instrumental in setting up a student internship to provide outreach to homeless people in Key West, and provided supervision to social workers who would otherwise have no access to professional training to meet licensure requirements. She was further acknowledged for developing supervision guidelines for Florida’s NASW social workers that are still in use today. Her public service was recognized in two gubernatorial appointments to Florida’s licensure board, where she was instrumental in introducing mandatory training requirements in ethics that reach beyond social workers to other counseling professionals. She was also instrumental in developing national guidelines for supervision. Gray continues her work on the editorial board of The Clinical Supervisor.